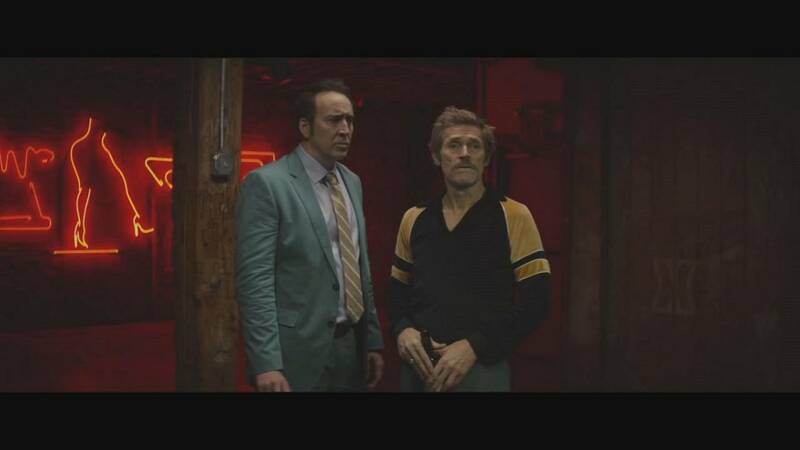 Willem Dafoe and Nicholas Cage. The brutal, bumbling ex-cons are hired to kidnap a baby and not everything goes to plan. Willem Dafoe plays Mad Dog, drugged up and poorly educated:“But he’s also sweet. He’s needy, he needs to be accepted. So that combination, it sounds kind of jokey out of context, but it’s nice because it’s the brutality that comes out of his frustration, but you also see where that frustration comes from and it’s not to justify the brutality, it’s just to give a more well-rounded portrait of this criminal, done through a comic prism,but still it’s full for me,” enthused the actor. The film is currently out in the United States. ‘Dog Eat Dog’ is based on a novel by crime writer and former serial offender , Eddie Bunker.